The Greeneville, Tenn., company beat the Bloomberg News forecast of $18.4 million or 57 cents. 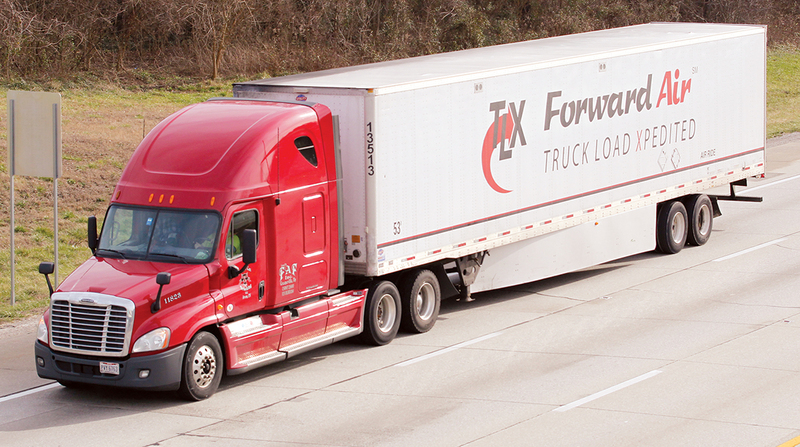 Revenue grew 12% to $267.5 million with stronger year-over-year results in expedited less-than-truckload, truckload, pool distribution and intermodal logistics. Operating income — after deducting expenses from revenue — improved in truckload and pool distribution, which lost money one year ago, but less-than-truckload results fell 7.7% to $23 million. “During the second quarter, we executed on our growth strategies and increased revenue in every business unit,” Chairman and CEO Bruce Campbell said in a statement. “Our Expedited LTL and Truckload Premium Services groups drove strong volume growth but faced a challenging driver recruitment environment as the truckload market tightened towards the end of the quarter.